This piece has to be the most unique piece I have. It is called Stromatolite but, the easy definition is that it is fossiled Sea Algae. Isnt it amazing! 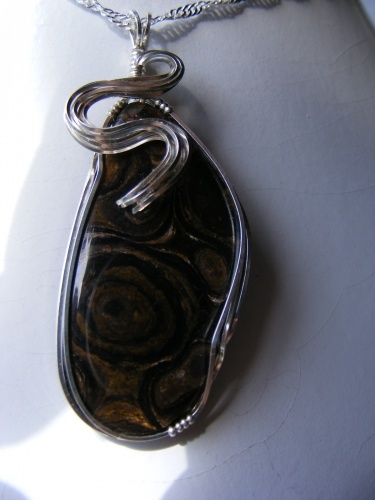 It has dark browns and black in it and is wrapped in luscious argentium silver. Truly one of a kind! !